Home » New Englands » 2018 New England Championships Recap, Results, Videos, Interviews! 2018 New England Championships Recap, Results, Videos, Interviews! Annually, the New England Cross Country Championships provides exciting, high level cross country full of confirmations and surprises! Athletes, coaches and parents are always faced with several challenges once qualified for this meet between travel, weather conditions (windy and cold! 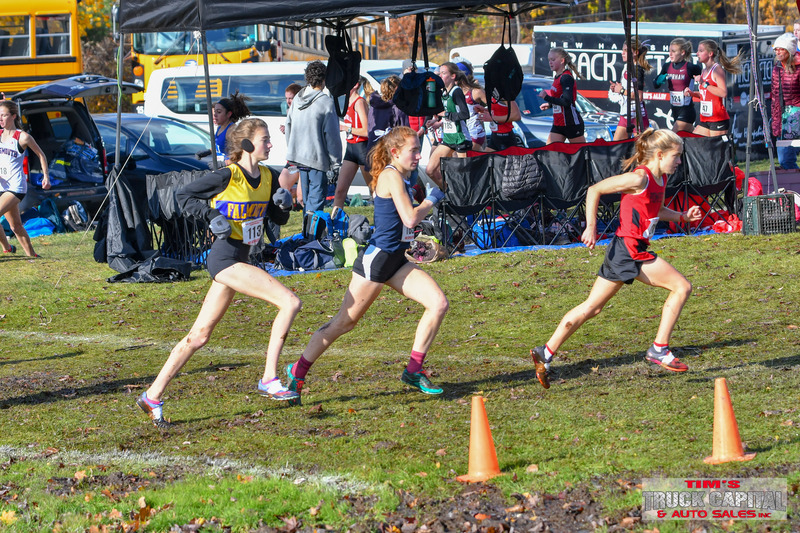 ), course conditions and the innate aspect of facing a field comprised of state champions and hundreds of runners of the same ability level all with the same goal in mind! 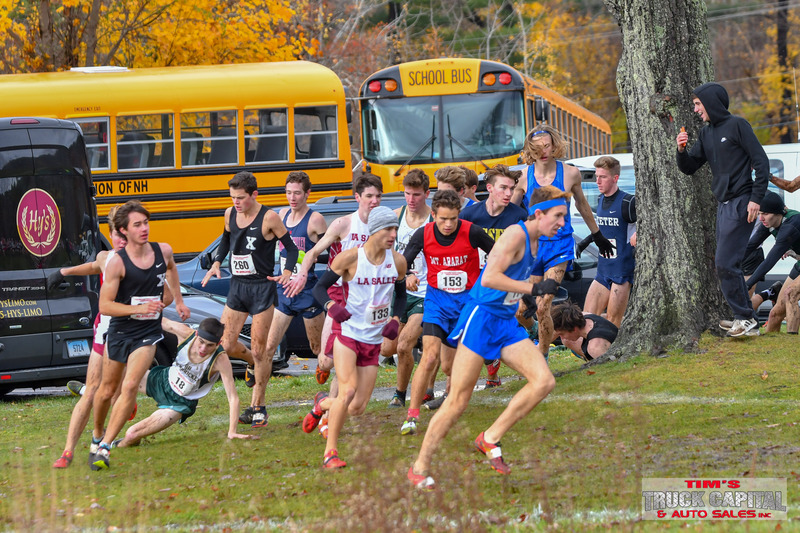 Obviously the story of this year was the impact on Derryfield from the fall rains leaving the already challenging course saturated, muddy and slick. Many great runners were simply spinning their wheels along numerous spots on the course. But that is why cross country is one of the toughest, most challenging sports. No excuses, yesterday was the agreed upon day, rain or shine or mud or wind! The New England Championships are highly competitive. You don’t fill out a waiver, sign up and run. Nothing is given, you have to earn your way here to compete. It is the 6 best teams and the top 25 runners from each state who qualify for this race. 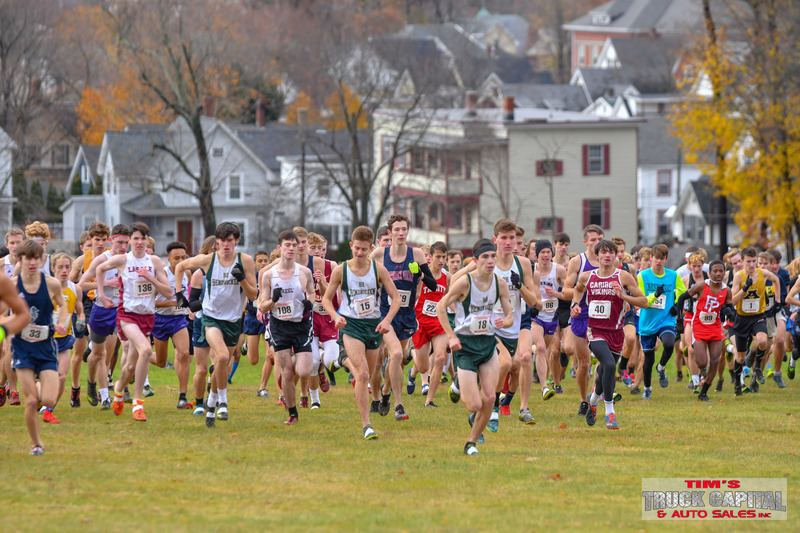 Historically the 84th New England Championship at Derryfield Park will be remembered being run on arguably some of the toughest and most challenging conditions. Even with all the hard work and reparations by the City of Manchester, the course still resembled much of the soggy harsh landscape of the rugged Northeast. To nobody’s fault but Mother Nature, the excess rain left the sopping wet course torn and tattered. That being said everyone runs the same race, no one was singled out to the wind or adverse conditions. There are no excuses. Most runners did not have their best day but at least two runners and one team had a great day. From start to finish senior Trey Cormier of William Hall High School Connecticut was in front comfortably controlling the race. With a last second burst down the final straight away with the finish in sight freshman Gavin Sherry of Conard, Connecticut almost pulled off the impossible. Sherry, winner of the 2018 Manchester Invitational, displayed a mammoth kick almost stealing the race from Cormier, a 9:08 3200 meter man. This kid’s youthful drive and desire to win was on full display and cannot be understated. La Salle Academy of Rhode Island took the next two places with Jack Mcloughlin finishing 3rd 16:02 and Max Dimuccio finishing 4th in 16:08. Rhode Island rival Jack McMahon of Bishop Hendricken was 5th in 16:10 and Maine State Champion Lisandro Berry-Gaviria of Mt. Ararat was 6th 16:11. NH Division I Champion and MOC Champion Forest MacKenzie of Concord needed just about every inch to reel in Keene’s Jake Velasquez for 7th both finishing in 16:12. 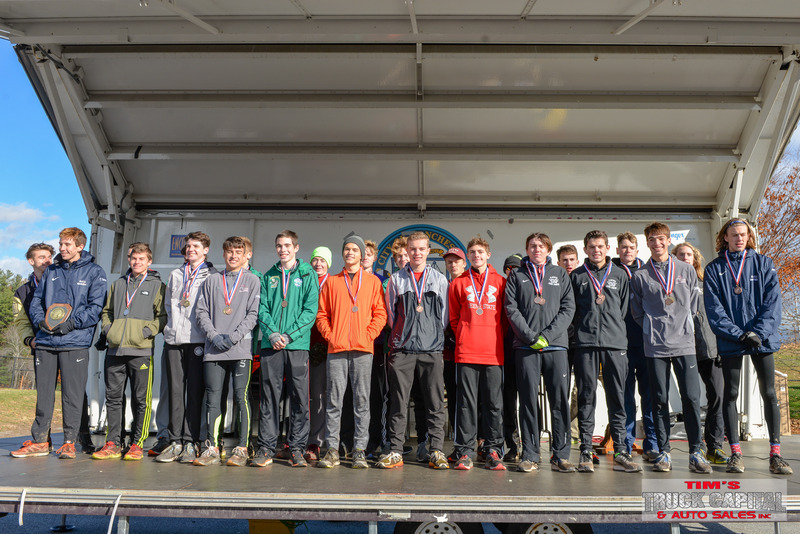 Last year New England Champions Xavier of Connecticut took home the next two spots with Robbie Cozean 9th 16:14 and Dillon Selfors placing 10th in 16:15. In the team competition La Salle the #10 ranked team in the country beat the US #4 Bishop Hendricken rather easily 49-80. In a show of team superiority over the rest of the field both teams put 4 runners in the top 20. Xavier finished 3rd with 111 points. Concord the top team in New Hampshire for the last two seasons finished 7th with 216 points and Keene ran to a solid 8th place finish with 229 points. D2 Champs Coe-Brown finished 11th 323 points, Winnacunnet was 15th with 437 points, Pinkerton placed 16th with 478 points while Oyster River was 19th totaling 534 points. Individually Mascenic’s Landen Vaillancourt continued to run really well in the post season. By placing 18th in 16:28, he joined Concord’s MacKenzie and Keene’s Velasquez up on the big Championship platform for All New England Honors. 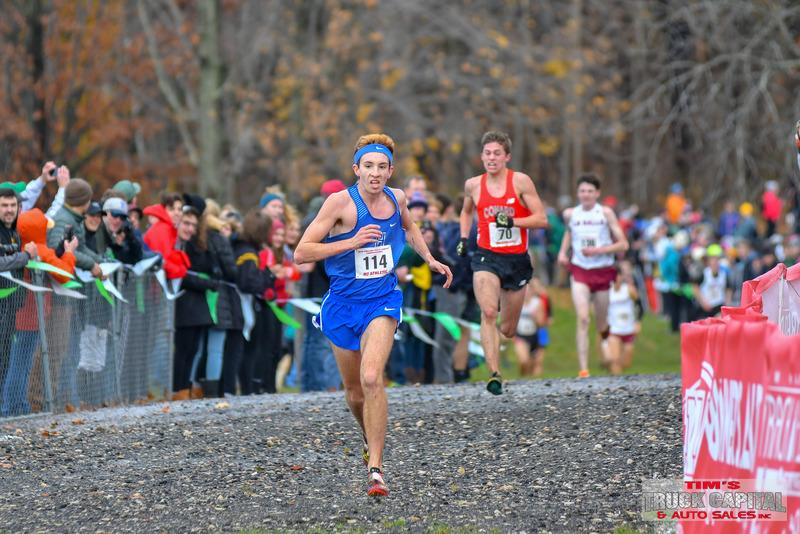 NH seniors ran tough in their final curtain call led by UMass Lowell-bound Jeffrey Allen of Campbell who concluded his senior scholastic season with a fine 30th place finish in 16:37. Concord’s Eli Boesch Dining was 33rd in 16:39; he plans to go to Bates. Next fall running for Dartmouth, Jacob Winslow of Exeter finished 35th in 16:44, Sanborn’s super soph Dylan Khalil was 37th in 16:45, Division II champion David Reynolds of Merrimack Valley was 38th in 16:46 and Aidan Kindopp of Keene finished 44th in 16:48. The future looks bright for NH. This fine group of 2018 underclassmen performed well all season and ran solid on the tough New England stage showing by junior Nashua North’s Joseph Curran (40th 16:47), top NH freshman Torin Kindopp of Keene (41st 16:47), Winnacunnet junior Colin Donnelly (48th 16:51), Concord sophomore Eben Bragg (51st 16:53), Coe-Brown sophomores Wyatt Mackey (54th 16:55) and Luke Tkazczyk (56th 16:57). 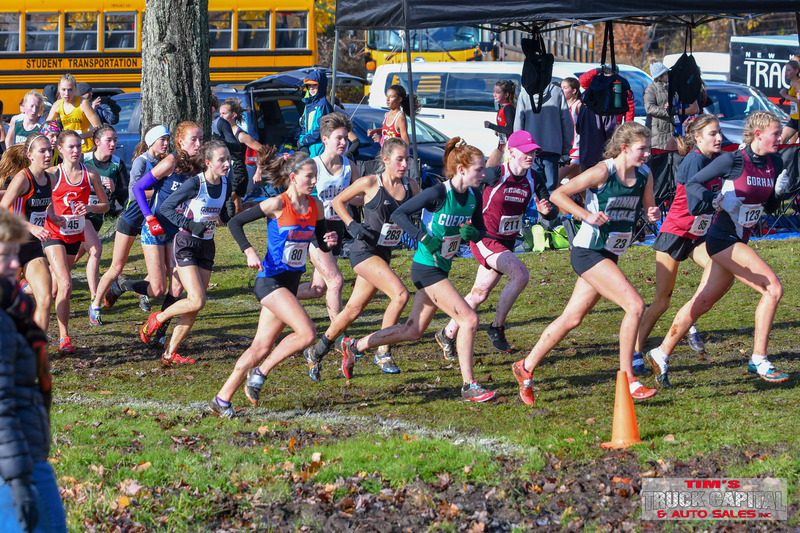 As a state, the girls from NH have enjoyed the past 2 years at New Englands culminating last year as West’s Julia Robitaille and Pinkerton both brought home titles, along with NH placing ten in the top 25 and 4 teams in the top 7. This year, teams and harriers were literally and figuratively slogging through the mud and wind! Tough going for sure, but our athletes certainly never gave up! Especially, MV’s Sophia Reynolds, who looked more like the veteran with tons of experience rather than a freshman racing in her first New Englands. Looking very much at home, Reynolds glided to a 2nd place finish in 18:42. 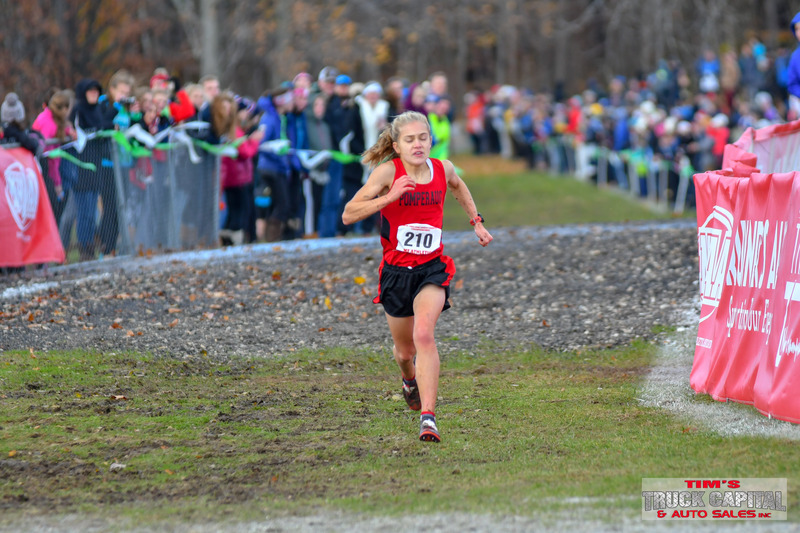 Manchester Invitational winner and pre-race favorite, Kate Wiser of Pomperaug pretty much led from gun to tape, striding away from the field to power herself to her first New England title in 18:04. Only a sophomroe, she will be tough to beat over the next 2 years. Bishop Guertin’s Caroline Fischer was NH’s next best finisher rolling to a 6th place finish in 18:56. NH occupied places 11 through 14 with Rachel Hurley (19:11), Julia Robitaille (19:12), Corinne Robitaille (19:15) and Keararge’s Mya Dube (19:19). Hurley’s teammate Clare Veverka placed 17th in 19:20 while Milford senior Lauren Robinson would complete NH’s representation on the All-New England team placing 23rd in 19:25. Team wise, it was yet another shuffling of cards as the top NH teams once again realigned themselves behind the champion Champlain Valley Union of Vermont, which comfortably won with 78 points for their 5th New England title (!!!) over La Salle Academy of RI which amassed 149. Connecticut was this year’s most dominant state as they placed 5 teams in the top 10 led by Immaculate which placed 3rd with 187 points. Pinkerton (NH-4) was the top NH team placing 8th with 274 points with Con-Val (NH-3) close behind in 9th with 283 points. Coe-Brown (NH-2) was 21 points behind placing 11th with 304 points. Souhegan (NH-6) edged Exeter (NH-1)by one point for 15th while Oyster River (NH-5) was 18th. Next year’s meet will be held in Connecticut! Let’s hope for a drier fall!!! Great recap! Our runners represented NH well! Also wanted to mention Sanborn’s sophomore Dylan Khalil who finished 37th in 16:45. Lots of impressive underclassmen performances yesterday! Great work yesterday New Hampshire! The underclassmen were on fire yesterday. Don’t forget Sanborn’s Dylan Khalil (sophomore) finished 37th in 16:45! Thanks Scott! You are correct, the future is bright! Fixed! Previous post Pic & Quote #11: Championship Cross Country Racing!